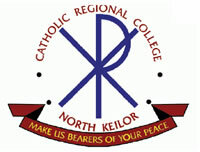 Catholic Regional College North Keilor is a Catholic Co-educational Year 7-10 College established in 1982. It operates as part of a complex of Colleges with other Year 7- 10 Colleges located at St. Albans and Melton and the VCE campus located at Sydenham. North Keilor is a Regional College existing under the jurisdiction of the Archbishop of Melbourne and serves students living in the Parishes of Airport West, Keilor Downs, East Keilor and Sydenham. 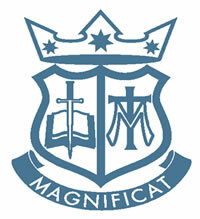 The complex of Colleges has a single Board of Governance known as Catholic Regional College Council. The membership of the Council comprises Parish Priests, parish based parent representatives, the Principals of the four Colleges and other persons co-opted for their expertise. The Council has two subcommittees – the Board of Studies that deals with educational matters and the Finance Committee. Strong support exists for the College from parishes in both a pastoral and financial sense. Pastoral support is seen in visits to the College by our priests, participation by the priests in in service programs, camps, regular Masses within the College, special liturgies and Reconciliation. As a Catholic school, we celebrate Christ as the centre of our lives, calling us to be life-giving by the way we live the Gospel in our time. We strive to empower our community to be people of hope for the world. Overnewton Anglican Community College, Keilor Campus opened in 1987 in direct response to community need for accessible quality education in the northwest of Melbourne. The second campus, at Taylors Lakes opened in 1996. The College is organised into Junior School (Preparatory – Year 4), Middle School (Years 5 - 8), Canowindra (Year 9), and Senior School (Years 10 - 12). Each Campus has a Junior School and a Middle School with Canowindra located on the Taylors Lakes Campus and the Senior School at the Keilor Campus. St Augustine’s focuses on engaging students in vibrant, creative learning experiences that develop inquiring minds and equips them with knowledge and skills for a life beyond the classroom. At St Augustine’s Learning and Teaching begins with the needs of the individual child and works towards developing their potential as lifelong learners and responsible citizens. The prescribed curriculum is used to frame learning that is responsive to the children’s needs, the context of our school and the wider community. The Institute of Online Business was developed to help people start an online business. Our seminars, books and online learning centre provide information and techniques to create a website, sell products, automate your website and track visitors to your site. Whether you have an existing online business that needs to produce better results, or you are a complete beginner, you will learn the fastest, easiest methods for getting online. The Institute of Online Business was founded because of a need to provide easy, quick and affordable ways for anybody, regardless of their education or financial background, to be able to build an online business. Everything you need to know about online business is contained in our seminars, books and online learning centre and is backed up by email support. We provide expert information on all aspects of online business and internet marketing. We also provide resources and services including graphic design, website building, copywriting, ghost writing, search engine optimisation, software developing, link building and internet marketing.